Medical tourism, in which patients travel abroad for surgery, is a rapidly expanding global phenomenon, particularly for cosmetic surgery. However, despite the increasing number of plastic surgery patients who seek procedures outside of the United States, there has been little data reported on outcomes, follow-up, or complication rates. 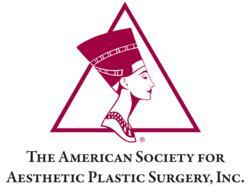 In response, researchers from Nassau University Medical Center in New York conducted a survey of U.S. plastic surgeons to help define the scope of the problem, particularly in relation to complication rates, finding that there is a need for improved public awareness and education regarding medical tourism. The results of the study were published in the article “Complications from International Surgery Tourism,” which appears in the August issue of the "Aesthetic Surgery Journal." Dr. Alizadeh and co-author Mark M. Melendez, MD, MBA surveyed 2,000 American Society of Plastic Surgeons (ASPS) members concerning their experience treating medical tourism patients with complications who returned to the US for resolution of their issues. Of 368 respondents, the majority (80.4 percent) had experience with patients who had traveled abroad for cosmetic procedures, and over half (51.6 percent) reported noticing an increasing trend over the last five years in the number patients presenting with complications from surgical tourism. The majority of these patients had undergone either breast augmentation or body contouring procedures. More than half required multiple operations upon seeking treatment for their complications and at least one patient required over a month of hospitalization in a surgical intensive care unit. The largest percentage (31%) of complications occurred as a result of infection. Other common complications reported by respondents were dehiscence, contour abnormality, and hematoma. Compensation for complication treatment was highly variable, as not all patients or procedures were covered by insurance. The "Aesthetic Surgery Journal" is the peer-reviewed publication of the American Society for Aesthetic Plastic Surgery (ASAPS) and is the most widely read clinical journal in the field of cosmetic surgery, with subscribers in more than 60 countries.